Carving Halloween pumpkins into jack-o’-lanterns is a long-held tradition that is fun for all ages. Part of that fun is heading to the local pumpkin patch to pick the perfect pumpkins for your Halloween decor, but imagine how much more fun it might be to grow pumpkins in your own patch right in your backyard. June is the ideal time to plant most Halloween pumpkins in California, so you will want to make sure you have most varieties in the ground by the end of June. 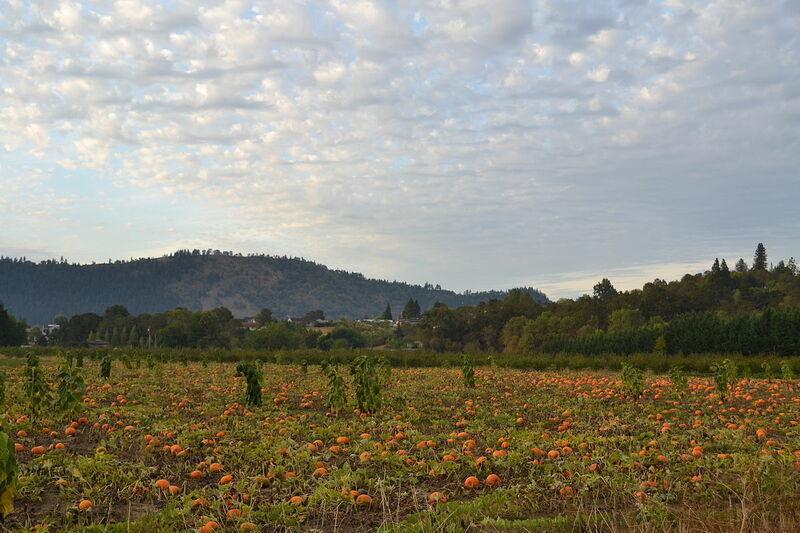 Most varieties take between 90 and 120 days to go from planted seed to mature pumpkins that are ready to harvest. Larger varieties and heirloom varieties are generally at the upper end of that time line. You can find out the days to maturity by checking your seed packet, which will help you determine precisely when to plant them. Before you start planting, you will need to choose the type of pumpkin you want to grow, so here is information on popular pumpkin varieties, unique pumpkin varieties and giant pumpkin varieties to help get your started. 1. 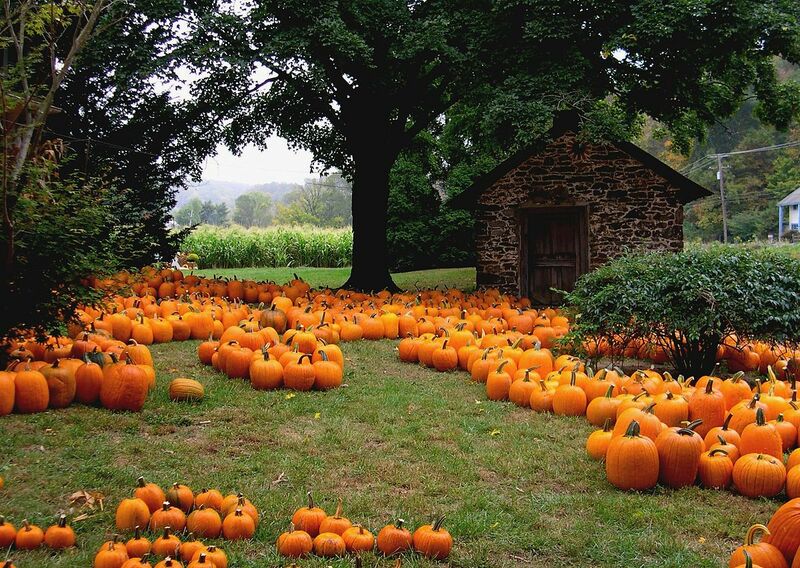 What do you want to do with your pumpkins? Do you want to eat them? Use them in a decorative centerpiece? Paint them for fall porch decor? Make a pie? Enter a contest? 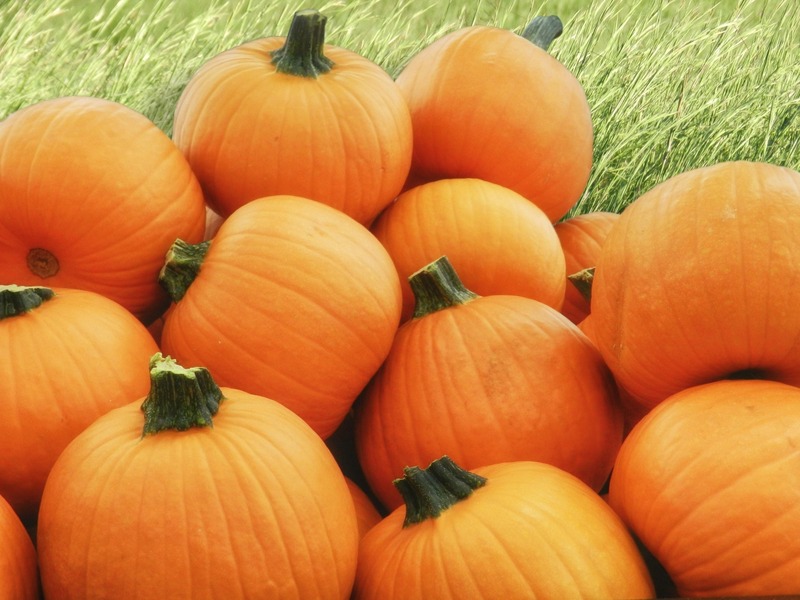 Which type of pumpkin you should grow will depend on how you answer this question. While even a giant pumpkin-growing contest winner can be eaten, there are certain varieties that are better for cooking and canning, some that are better for carving into jack-o’-lanterns and some that are best for decorations. Of course, there are also some varieties that can easily do double duty. For example, some of the smallest pumpkin varieties are great for both fall decorations and for making pies. 2. How much room do you have? Pumpkin vines can grow up to 40 feet in length, and if you are planning on growing a Prizewinner or another large variety, you may have some rather large Halloween pumpkins weighing 100 or 200 pounds. So you can see why you could potentially need a lot of room for your pumpkin patch. However, there are some very small varieties that can be grown in a container with a trellis on your patio. So any amount of space will work for growing pumpkins, you just need to figure out how much space you want to dedicate to your pumpkin patch before buying seeds. Also keep in mind that the space you choose for your pumpkins should receive full sun. If you are starting to plant your pumpkin patch any later than about mid-July, you are going to have to settle for smaller pumpkin varieties in order to be sure you will have usable pumpkins by Halloween. If you are planting in late-May to early-June (ideal pumpkin planting time), then you can pick a larger variety or try your hand at growing giant pumpkins. Keep in mind that the seed packets will state how many days to maturity for that variety, so you can just count backwards from Halloween to make sure you have enough time to grow that variety. 4. How much effort are you willing to put in to finding seeds? If your interest in seed hunting maxes out at heading to your local garden center and grabbing a couple of packets, then you will have to settle for whatever they happen to have in the seed rack. Most garden centers and home improvement stores only carry a couple of types of pumpkin seeds, so you may find yourself choosing between polar opposites like Sugar Pie and Big Max with no options in between. If you are willing to spend a little time browsing seed catalogs, surfing the sites of online seed sellers or joining a gardening forum, your options will greatly expand, and you will probably be able to find just about any type of pumpkin seed your heart desires. If you are willing to commit to doing some serious research, you can find seeds from specific genetic lines — or even specific pumpkins — and get your hands on the seeds that really could help you win your local pumpkin-growing context with a giant pumpkin weighing in at well over 1,000 pounds. Most of us head to the pumpkin patch, pick out some pumpkins, take them home and carve them without giving much thought to what kind of pumpkins they are. Most likely, you have been bringing home either Howdens or Connecticut Fields, since these are definitely the two most popular Halloween pumpkins for carving and usually what you find in commercial pumpkin patches. 1. 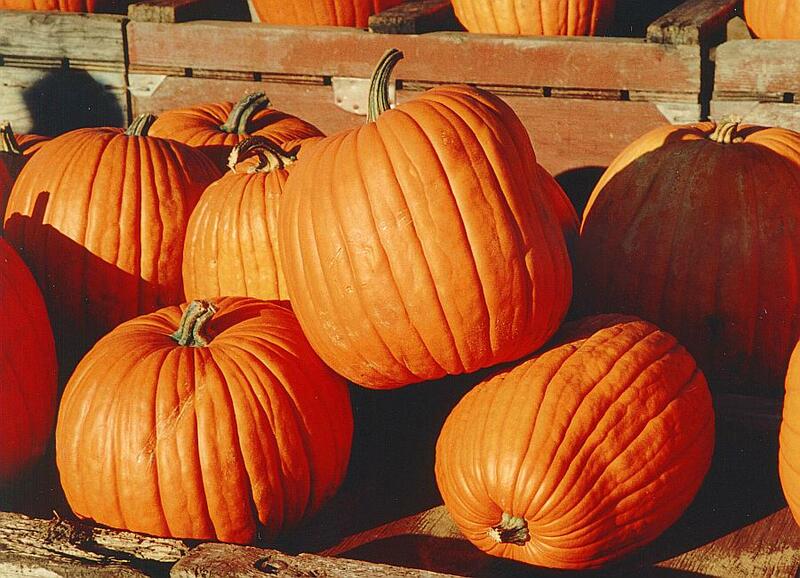 Howden – Howden pumpkins are one of the most popular carving pumpkins and are ideal for making jack-o’-lanterns. You can expect them to grow to about 20 pounds, but know that they can weigh more than 50 pounds at maturity. You can expect it to take about 115 days for them to go from seed to mature pumpkin ready for picking, and you will likely get four or five pumpkins from each of your vines. 2. Connecticut Field – This is the other one you have probably seen a hundred times in pumpkin patches and grocery store bins right before Halloween. This type of pumpkin grows to about 20 pounds, takes about 120 days to mature and is a great choice for carving jack-o’-lanterns. On a side note, this variety is also good for canning. 3. Jack-O’-Lantern – This variety can be used for cooking and baking, but it is best known as being a perfect choice for carving. It comes in at a nice size that ranges from around seven pounds to around 15 pounds with most coming in a bit under 10 pounds. This makes this variety a little easier to handle. This variety has vines that only grow to about eight to 10 feet long, which makes it a nice choice for backyard gardens. Another perk with this variety is that it only takes about 100 days to go from seed to mature, so if you are starting late, this might be your best choice. 4. Cinderella – Due to their deep ribs and unique shape, Cinderellas are not ideal for carving, but they are great for using for fall decorations and you can turn them into pies after Halloween. Cinderellas can be large — up to 35 pounds — and they take about 100 days to mature. The shorter time to mature makes this another good choice if you are planting Halloween pumpkins a bit late this year. 5. Jack Be Little – This is one of many tiny varieties of pumpkins. Coming in at just two or three inches in diameter, these little squashes are not that great for eating, but they are perfect for use as decoration. They are easy to grow and take much less space than larger pumpkin varieties. These have deeper ribs and are a little squat, so they are not great for carving, but you will not want to after you see how cute they look just left alone as a centerpiece or in a basket. 6. Wee Be Little – Like their deep-ribbed counterparts, Jack Be Littles, Wee Be Littles are tiny pumpkins that are easy to grow and take up much less space than larger varieties. Unlike Jack Be Littles, Wee Be Littles have smoother skin and are perfect for carving tiny jack-o’-lanterns. These little Halloween pumpkins are usually about three to five inches in diameter and are great for kids, since they are much smaller and lighter, which makes them easier to hold for painting or carving (with adult supervision). 7. Sugar Pie – Sugar Pies are versatile pumpkins that can be used for both carving and cooking. They are usually about six to seven pounds at maturity, which takes about 100 to 110 days. They are small enough to be easy to handle for carving and Halloween crafts and are very popular for making pumpkin pies. 1. Baby Boo – Just as cute as the name, Baby Boos are miniature pumpkins that are only about three inches in diameter. They have deeper ribs than some other choices, so they are not great for carving, but their bright white skin make them a very fun choice for Halloween decorations and crafts. 2. Casper – Caspers are also white, but they have smoother skin and are larger than Baby Boos. This makes them a good choice for carving, painting or crafts. As an added bonus, Caspers are also good for baking into pumpkin pies. These get to be about 15 pounds and take about 115 days to mature. 3. 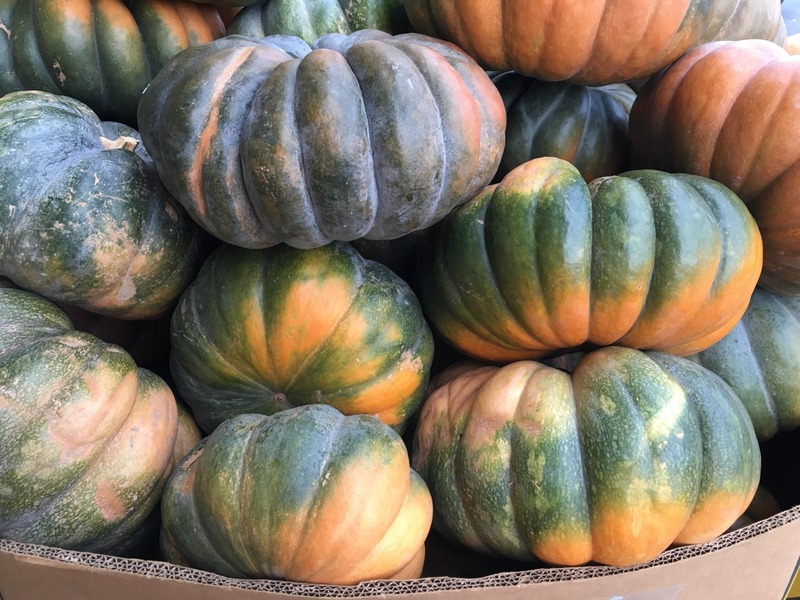 Jarrahdale – If a white pumpkin just is not unique enough for you, you might be interested in this blue variety. This variety comes in a nice size that ranges from between about six pounds and 10 pounds and takes about 110 days to mature. Their blue color makes them a unique choice for decorating, but they can also be used for cooking or baking. 4. Red Warty (aka Red Warty Thing) – Just like the name implies, this variety has reddish skin that is covered in bumps. They grow to about 20 pounds and take about 110 days to go from seed to mature pumpkin. They can be eaten, but if you really want a unique jack-o’-lantern this year, you might want to use this one for carving and decoration. 5. Peanut – A bit like the Red Warty, Peanut pumpkins are covered in bumpy growths that give it a very unique and kind of creepy look. Because of this, they are a great choice for Halloween decorations, but they can also be eaten. Peanut pumpkins grow to about 10 to 12 pounds and take about 100 to 105 days to mature. If you would like to try something even more unique this Halloween, you might consider opting for jack-o’-lanterns carved from turnips or rutabagas. While this is nearly unheard of in the United States, these vegetables are far more commonly used in other countries when it comes time to carve jack-o’-lanterns to scare the demons away. When it comes to giant pumpkins, the ones you hear about most are Atlantic Giant and Prizewinner. Atlantic Giants are the truly huge pumpkins that always win the pumpkin growing contests and can grow to more than 1,500 pounds. Prizewinners are considerably smaller and weigh in at about 200 pounds, which makes them a better option for most folks considering growing giant Halloween pumpkins in their backyard gardens. 1. Atlantic Giant – Most of these huge pumpkins weigh in at around 300 to 400 pounds, but they can grow considerably larger in ideal conditions and under the care of a skilled gardener. They take between 110 and 130 days to mature and can be grown in a backyard garden. However, unless you are planning on partaking in a little competition gardening this year or going for a giant pumpkin record, you are probably better off going with Prizewinner or Big Max. 2. 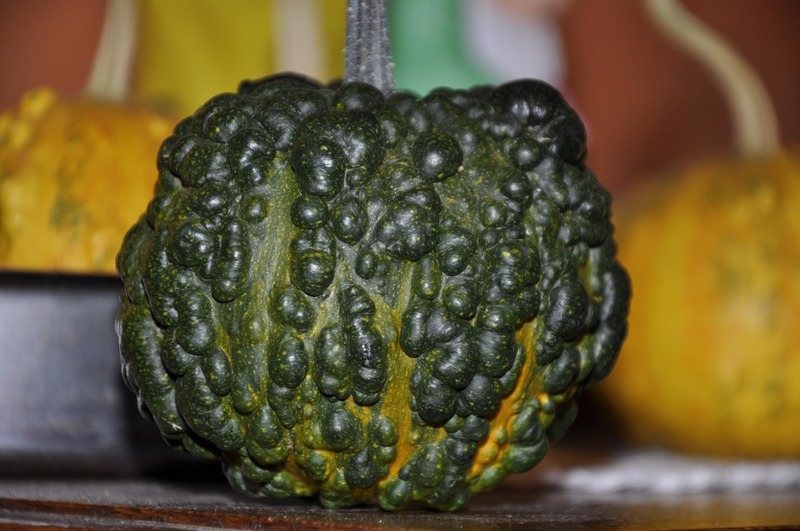 Prizewinner – Prizewinners are pretty pumpkins that grow to around 200 pounds. They are easier to grow and can even be eaten, but the vines can grow to about 40 feet in length. That can be a lot of vine for a small backyard, so be sure you have the room before planting this giant pumpkin variety. 3. 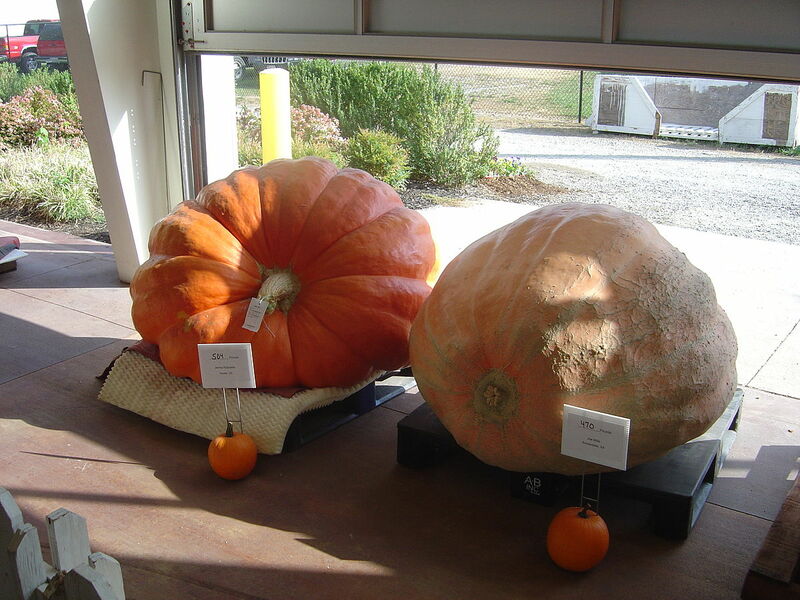 Big Max – Big Max pumpkins take about 110 to 120 days to reach maturity and average about 100 pounds when fully grown. They are a good choice if you want some very large pumpkins to use as Halloween decorations and can also be used for canning or for baking. Big Max seeds are generally easier to come by than other giant pumpkin options, but you can purchase any of the three online. 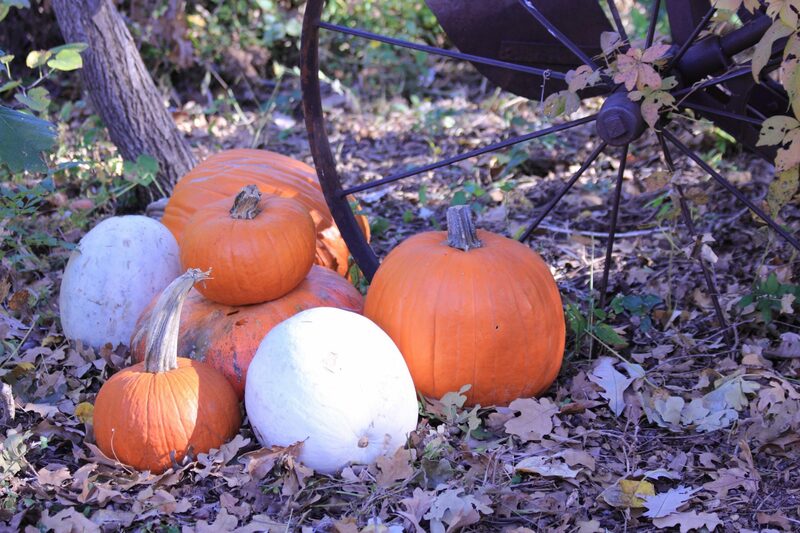 What are your favorite Halloween pumpkins to grow in your backyard garden?